Now, all the excitement abuzz for Two Rivers can be shared with modern families of all ages! NVHomes is pleased to present a collection of spacious single-family homes up to5,285 sq. ft. and up to 5 bedrooms. 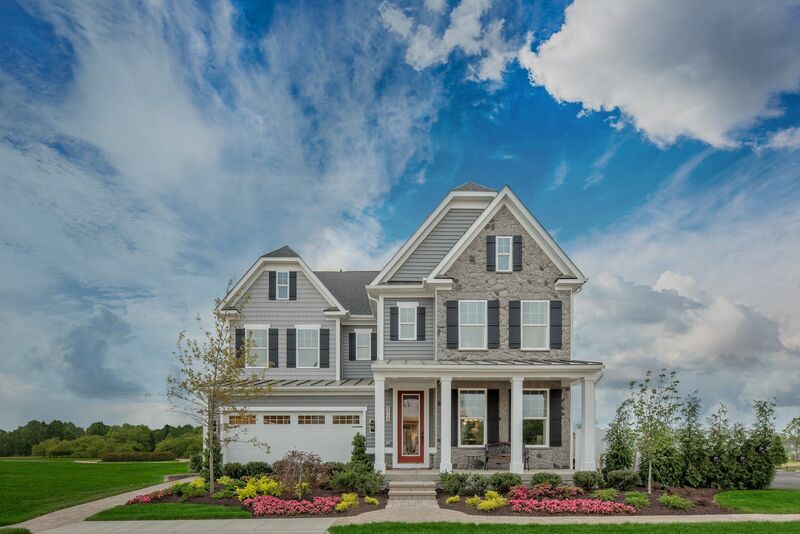 These handsome residences are located in The Heritage neighborhood of Two Rivers on some of the community's very best homesites that are absolutely must-see! From your new home, you'll be just steps to the planned 10,000 square foot Hamlet Clubhouse with outdoor competition pool, indoor gymnasium with basketball, and fitness center, not to mention the 100+ acre environmental park. Life at Two Rivers offers the perfect blend of serenity and convenience.Close enough to D.C., Baltimore and Annapolis to feel the urban energy, yet surrounded by 1,468 acres of natural beauty between the Little Patuxent and Patuxent Rivers. Nearby Waugh Chapel Town Center offers Wegmans, restaurants, shops, and entertainment. And BWI Airport is a short 20-minute drive. Come home to a stately residence with all the luxury you have come to expect from NVHomes. Special touches include welcoming front porches with 8'-front doors, elegant door and window casing, flex space offering ground-floor guest suites, and available finished rec rooms. Our acclaimed Chef's kitchen includes quartz countertops, pendant lighting, ceramic tile backsplash, and convenience features in our cabinetry that will truly delight. A luxury home this nice doesn't come along often.Schedulea visit today!